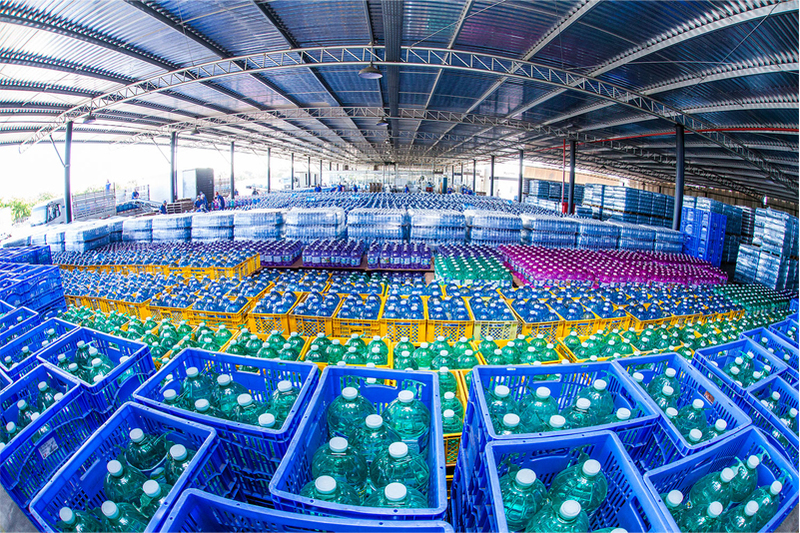 In the mineral water sector, Naturágua is one of the leading brands in sales and the favorite one by Fortaleza consumers for its superior quality, evidenced by its lightness and pureness. 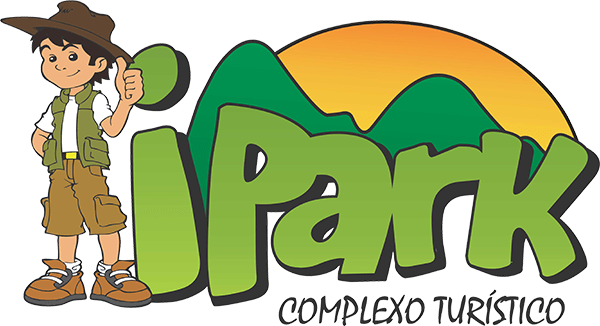 The company has mineral water sources, located in the metropolitan region of Fortaleza, and relies on cutting-edge machinery and equipment. 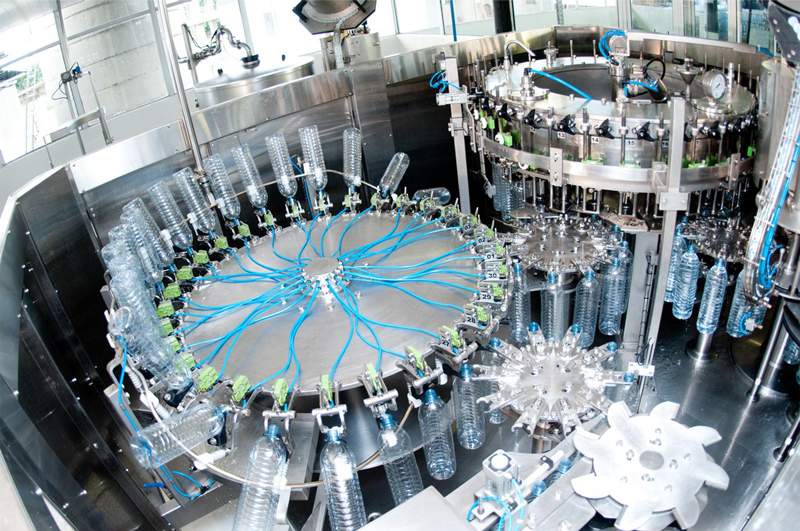 Ensures the maximum quality of the product, sold in PET packages of various sizes: 20-liter bottles, 5-liters, 1.5 liters, 500 ml and 315 ml, the latter two in the version with and without gas. 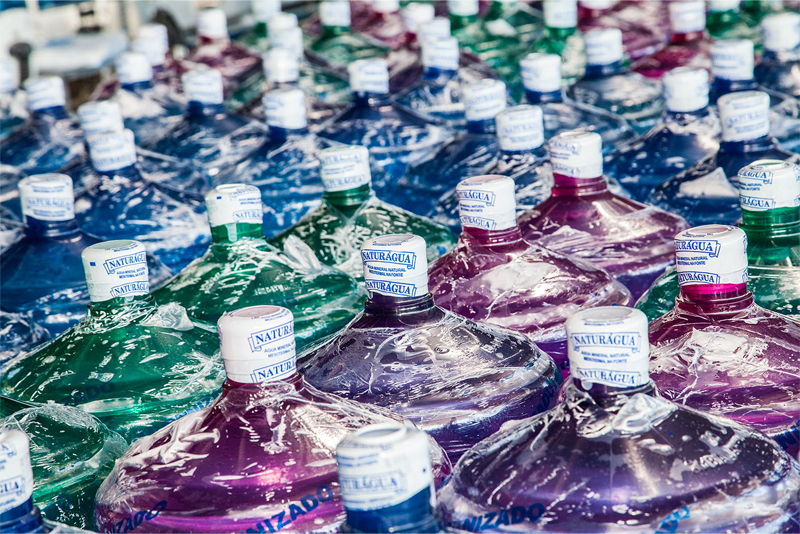 Classified as hypothermal in the source (32.2ºC), Naturágua products are in compliance with the requirements from the National Mineral Production Department (DNPM) and the National Health Surveillance Agency (Anvisa). 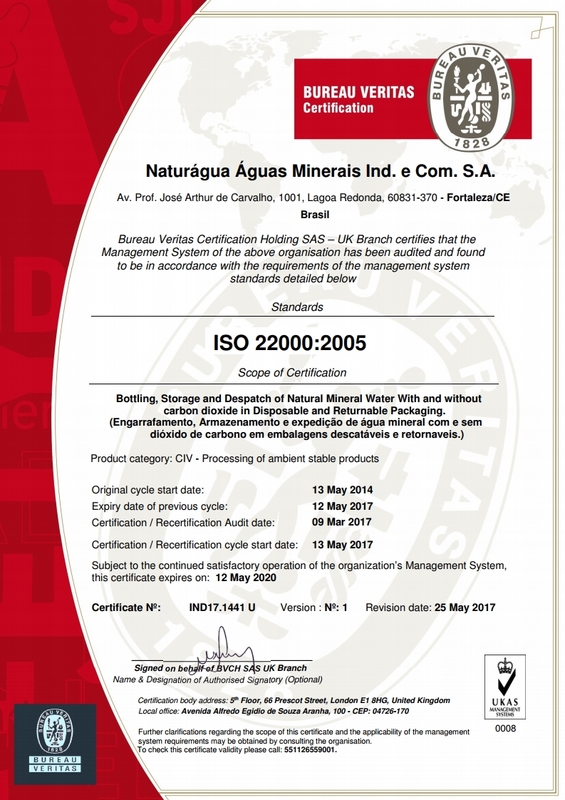 Naturágua’s excellence standard was consolidated by obtaining the ISO 22000 certification, awarded by the Bureau Veritas Certification (BVC), the world’s largest certification agency, with INMETRO’s accreditation. The ISO 22000 is the standard that comprises the Food Safety and Management System, specific for the food sector. 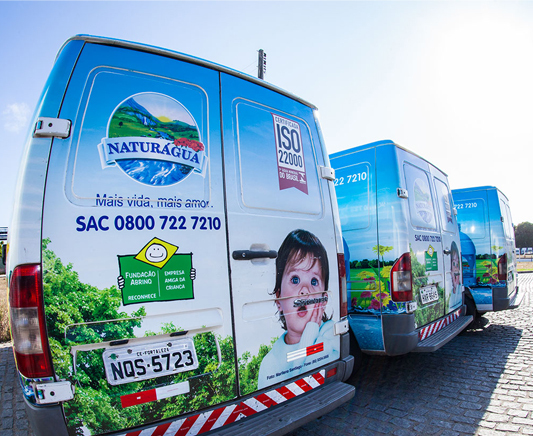 Naturágua is the 1st Brazilian mineral water to obtain ISO 22000 certification in North / Northeast by renowned Bureau Veritas. 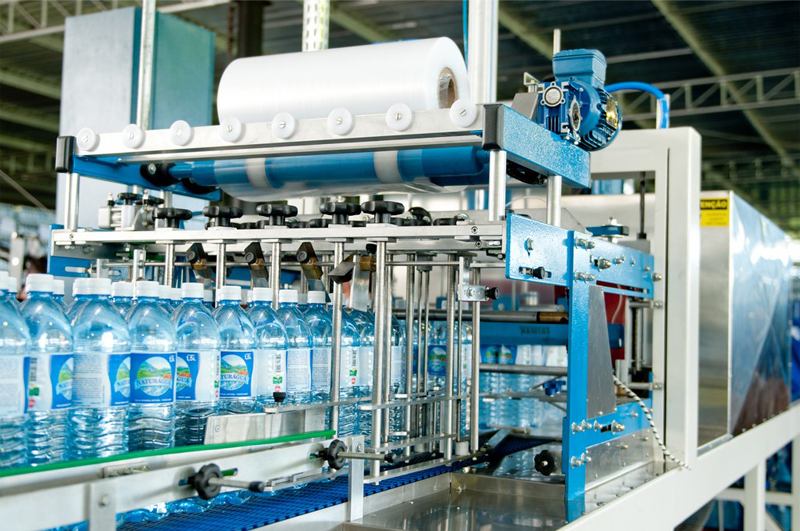 In operation in the market for 20 years, the ISO 22000 is the acknowledgment of an ongoing strict quality control work employed throughout the whole production process, from the water receipt from the source to the distribution of its products.